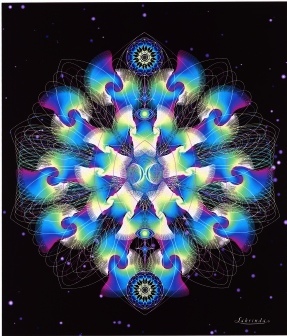 "The Template model of transcendence encompasses a design and progression that is in total resonance with the vibratory infrastructure of the prime creation code, a mirror frequency that duplicates the synchronomic systems that govern all of existence. 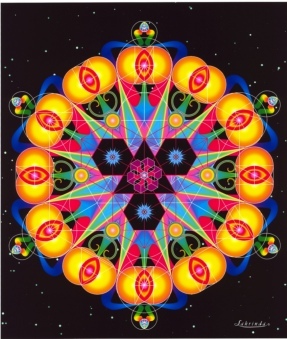 It Honours the Human as a fractal component in symbiotic resonance with not only its mother bio-system, the Earth, but also the solar/galactic/universal holography. 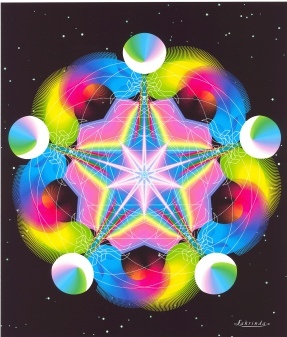 "Link sacred geometry with coded ceremony, brain chemistry, circuitry, the endocrine system, DNA resurrection and the morphogenetic field and join the genetic revolution! We are an immortal race locked in a mortal paradigm. To resurrect the full human potential we must integrate and synthesize our spiritual knowledge with the higher physics of creation. The Template is an interactive system that harnesses this knowledge to reconnect the life force energy system that will resurrect the masterpiece of the original human blueprint prior to our genetic modification."